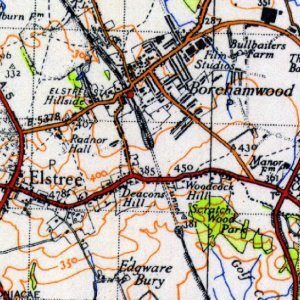 Bethnal Green is located 3.3 miles northeast of Charing Cross, It was historically an agrarian hamlet in the ancient parish of Stepney, Middlesex. 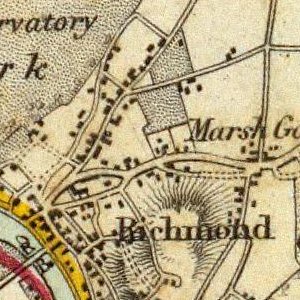 The name Blithehale or Blythenhale, the earliest form of Bethnal Green, is derived from the Anglo-Saxon healh ('angle, nook, or corner') and blithe ('happy, blithe'). 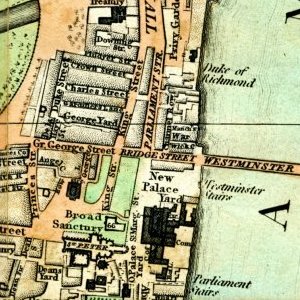 Following population increases caused by the expansion of London during the 18th century, it was split off as the parish of Bethnal Green in 1743, becoming part of the Metropolis in 1855 and the County of London in 1889. 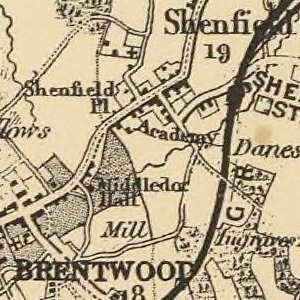 The parish became the Metropolitan Borough of Bethnal Green in 1900 and the population peaked in 1901, entering a period of steady decline which lasted until 1981. Bethnal Green has formed part of Greater London since 1965. 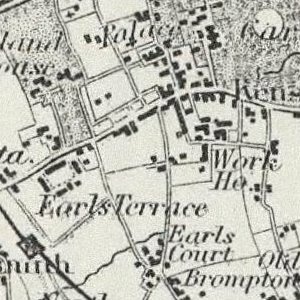 The economic history of Bethnal Green is characterised by a shift away from agricultural provision for the City of London to market gardening, weaving and light industry, which has now all but disappeared. By about 1860 Bethnal Green was mainly full of tumbledown old buildings with many families living in each house. 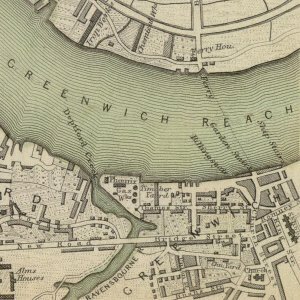 By the end of the century, Bethnal Green was one of the poorest slums in London. 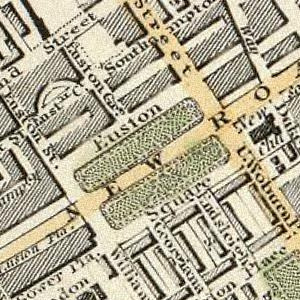 Jack the Ripper operated at the western end of Bethnal Green and in neighbouring Whitechapel. 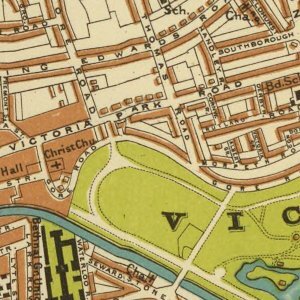 In 1900, the Old Nichol Street Rookery was demolished, and the Boundary Estate opened on the site near the boundary with Shoreditch. This was the world's first council housing. The quality of the built environment was radically reformed by the aerial bombardment of World War II and the subsequent social housing developments. 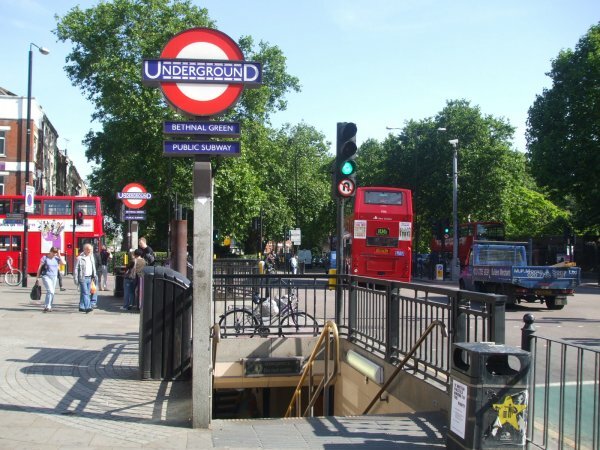 Bethnal Green has a tube station on the Central Line of the London Underground. 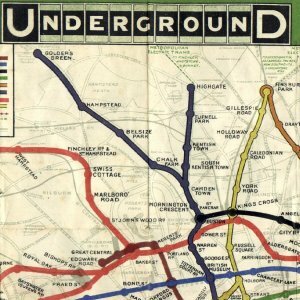 The station was opened as part of the long planned Central Line eastern extension on 4 December 1946; before that it was used as an air-raid shelter. On 3 March 1943, 173 people were killed in a crush while attempting to enter the shelter. 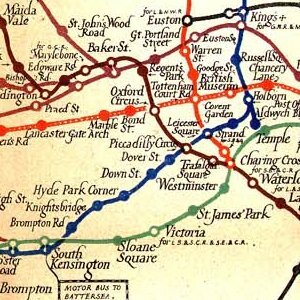 The station is an example of the New Works Programme 1935 - 1940 style adopted by London Transport for its new tube stations. Extensive use is made of pale yellow tiling, originally manufactured by Poole Pottery. The finishes include relief tiles, showing symbols of London and the area served by the London Passenger Transport Board, designed by Harold Stabler. The station entrances, all in the form of subway access staircases to the subterranean ticket hall, all show the design influences of Charles Holden, the consulting architect for London Transport at this time.